Linnane Homes is a full service custom home building company with a keen eye for design and functionality. They build homes ranging from $700,000 to $2m in some of the Charlotte areas most alluring communities. 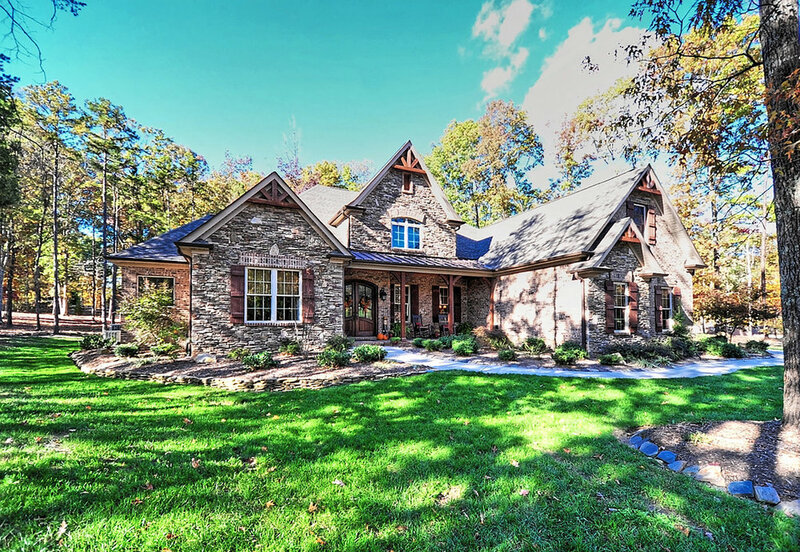 You can find their collection of custom homes in Waxhaw, Weddington, Fort Mill, South Charlotte, Mooresville, and Davidson. They have a variety of home plans to choose from, or they can design a plan specifically for your family. At Linnane Homes, you work directly with Billy Linnane to design your home. He has worked with renowned architect, Frank Snodgrass from Living Concepts to develop a variety of home plans to choose from or you can work directly with Frank to design exactly what you want to build. They will never ask you to go to a design center alone. A representative of Linnane Homes will accompany you along the way, ensuring that you will get the look you want at the best possible price. “We thank you for the opportunity to build your new home, we consider it both an honor and a privilege.” Billy Linnane. When we started Sage Custom Homes, our dream was to build beautiful custom homes that were designed for our clients. But we wanted to do it differently. Our homes are specifically designed to fit your specific lifestyle. If you’re an entertainer and love to host…we might recommend a beautiful custom great room design to accommodate your guests. If you have a property with your children and all their friends in-and-out regularly…we think a nice drop zone could help. Or if you enjoy the option to work effectively from home…we’d like to walk you through how different home office designs can create the perfect environment for you. We design and build for you, but we wanted your experience to be more than that. We heard the same story from so many people who had been through the custom home building process, “I wish it was more personal.” That’s what we set out to provide for every client – a unique personal home building experience. We consider the hands-on, relationship-building side of the process a part of building your home. Which is why we meet with you one-on-one. It’s more than just a construction project for us. Arthur Rutenberg, Paragon Homes of Charlotte, Inc.
Paragon Homes of Charlotte, Inc., is an independently owned and operated franchise of Arthur Rutenberg Homes and is recognized as the leader in custom homes throughout South Charlotte; from Fort Mill, SC and Lake Wylie, SC to Mint Hill, NC and Waxhaw in NC. In order to deliver customer service at an exceptional level we rarely build north of Uptown. We like the south side and simply cannot build everywhere. As an award-winning builder we believe there are several characteristics that are important today more than ever: financial stability, competitive pricing, exceptional product design, reliable trade partners and contractors, excellent customer service and a great warranty program, to name a few. We also know that delivering value is more than just a matter of price. Value is what our homeowner’s investment delivers into the future.